The five-day mission was dangerous and grueling. Thousands of troops hauled a 220-ton turbine piecemeal on trucks the entire length of a Taliban-infested province in southern Afghanistan. The feat was hailed by the British military as on par with the logistics of World War II and cost about $1 million. The herculean effort was for USAID’s marquee reconstruction project, the Kajaki Dam, the lynchpin of an ambitious and expensive plan to bring electricity to southern Afghanistan. That was 2008. The turbine has sat, unassembled, in rusting containers at Kajaki ever since. As the U.S. attempts to withdraw from Afghanistan, there is perhaps no better example of its botched efforts to rebuild and stabilize the country than the Kajaki Dam. For the past year, ProPublica has been scrutinizing the tens of billions spent on reconstruction in Afghanistan by the military, the State Department and the U. S. Agency for International Development. Project after project has foundered because the U.S. ignored history, warnings, local culture and common sense. Last month, ProPublica analyzed and, for the first time, added up the cost of these failures and found at least $17 billion in questionable spending since 2009. On Wednesday, a subcommittee of the Senate Armed Services Committee will hold a hearing on the activities of controversial Pentagon task force responsible for some of this spending. The task force was supposed to develop the Afghan economy, but has little to show for five years and hundreds of millions spent. Instructive context about how these types of failures come to be can be found in the story of the Kajaki Dam. Trumpeted as a symbol of America’s visionary support for Afghanistan, the dam has become instead a monument for all that has gone wrong: Project planners were overly ambitious, oblivious to conditions on the ground and unable to meet key deadlines or keep costs from ballooning. For the Afghans, it meant that promises were broken. For American taxpayers, upwards of $300 million could end up wasted. The Kajaki Dam was built in the rugged, rural north of Helmand Province in the 1950s during America’s first push to make Afghanistan a modern country and an ally. The U.S. turned it into hydroelectric power station in the 1970s, but abandoned the project before completion when the Russians invaded in 1979. In 2004, three years after the U.S. led its own invasion, USAID restarted the project with great fanfare. The agency successfully refurbished two turbines that were nearly inoperable after decades of neglect and the dam eventually began producing some power. But its true success hinged on installing a third, modern turbine that could vastly increase that power throughout the area, including to the city of Kandahar, a strategic and populated urban center one province to the east. That addition was supposed to be complete a decade ago. Critics say the project’s failure wasn’t hard to foresee. The dam sits in Taliban country, a well-known fact that adds a permanently and dangerously unpredictable layer to what was already a monumental logistical challenge. But Larry Sampler, a senior USAID official who has worked on Afghanistan since 2002, said the agency couldn’t have been expected to foresee the tumultuous security situation or Taliban interference with the project. Just a year later, however, the NATO mission, which had been focused largely in Kabul, started expanding across the country to take on pockets of resistance and troop numbers quickly increased. By 2006, intensive fighting had picked up in in the provinces of Helmand and Kandahar, the spiritual homeland of the Taliban and where they have the most support among the population. By then it was clear Kajaki Dam was smack in the middle of the Taliban resurgence. 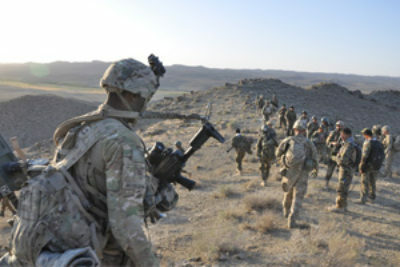 Even as more and more troops poured into the province, the Kajaki district has remained one the more insurgent-infested areas, and for the most part “in Helmand, we never controlled much more than what the Marines stood on,” said retired Lt. Gen. Daniel P. Bolger, who was in charge of training the Afghan security forces in 2011 and 2012. The northern part of Helmand is also an extremely remote area still littered with Russian mines and with almost no infrastructure or connection to the newly established government. There are limited options to get to the dam. The road that runs there, Route 611, is by Sampler’s own admission, “quite easy to close.” Not unexpectedly, the Taliban often prevented workers and supplies from getting to the dam. Instead, USAID had to airlift supplies, increasing the cost by nearly $7 million, according to a USAID Inspector General report. The project also required significant work across wide swaths of Taliban territory to connect the dam to Kandahar city with transmissions lines. With hundreds of millions invested, USAID continued to work on the mammoth project even as Helmand became one of the key areas of President Barack Obama’s troop surge in 2010, and the deadliest province for U.S. service members. Unsurprisingly, during this period, the Kajaki Dam languished, and a top USAID official told The Associated Press that the agency had discussions in 2012 about scrapping the project. Instead, it forked over an additional $75 million and handed control of getting the third turbine online to the struggling national Afghan utility in 2013, with USAID playing an advisory role. For the Afghans to install it, however, 700 tons of concrete still needs to get to the site through the same Taliban territory the turbine traveled seven years earlier — but without British or American military forces to deliver it. Inexplicably, USAID missed its window to deliver the concrete when the U.S. Marines had cleared the area for a time in a major operation in late 2011. The security situation of late doesn’t bode well for meeting that goal. . Last summer, the Taliban seized many cities in northern Afghanistan near the dam, and in the fall, the U.S. conducted airstrikes to fend off Taliban attacks in the area. In December, the Taliban overran the bordering district of Sangin. The Taliban’s dominance of the area is such that it controls at least a third of the output from Kajaki Dam, collecting taxes from the people for its use, according to the Afghan national utility. Even if the utility does manage to install the third turbine, the energy from it won’t have anywhere to go. 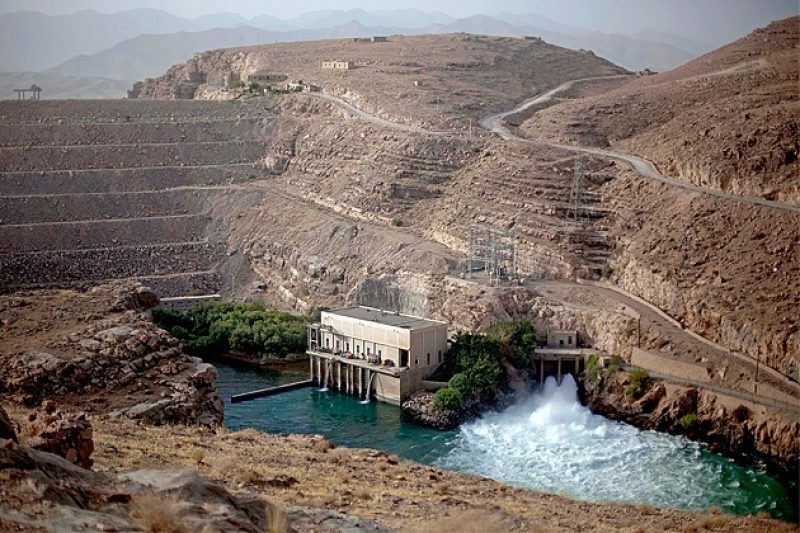 The Kajaki Dam is but one part of USAID’s larger electricity plan that includes rehabilitating transmission lines between it and Kandahar City, and that hasn’t been completed either. Putting in transmission lines that would connect the Northeast power grid with the one in the Southeast is also on the list. The latest estimated completion date for the transmission lines is late 2018. Today the Kajaki project is pointed to by many — nongovernmental organizations, military officers, Afghans, former USAID and diplomats — as a prime example of an array of reconstruction problems. For retired British Gen. Sir Nick Parker, who served in Afghanistan, it exemplifies a common U.S. and British faux pas: failing to take into account the Afghan point of view. Charles Tiefer, who was on the Commission for Wartime Contracting in Iraq and Afghanistan, said Kajaki is the symbol for how naively ambitious the reconstruction effort was. On a trip to Afghanistan in 2010, he said, the commission was astounded to learn of the scale of what USAID was trying to accomplish in the energy sector. Tiefer said he leapt out of his chair to take a closer look at was being presented. In interviews, USAID and State Department officials would not acknowledge that even minor mistakes had been made with the Kajaki project. “I would say that Kajaki Dam is a sign of the American people’s resilience and persistence of support of the Afghan population,” Sampler said. Considering it a failure, he said, is short-sighted. Jonathan Carpenter, one of the State Department’s lead officials in the Office of the Special Representative for Afghanistan and Pakistan, cites energy as one of USAID and the State Department’s most prominent successes. Afghanistan’s first nationwide electrical company, Da Afghanistan Breshna Sherkat, or DABS, now decides what fees to charge and how to prioritize distribution, debates tariffs, and develops natural resources, Carpenter said. The capacity for such an institution didn’t exist in 2001. According to USAID’s Sampler, at the start of the war less than 6% of Afghans had access to electricity and now 30% of the population is hooked up to an electrical grid. After years of reliance on foreign subsidies, DABS, which is in charge of the Kajaki Dam, is now solvent, he said. Despite the optimism, USAID is still providing advice and expertise, including a nearly $30-million, four-year program to help DABS manage its transition from dependency on donors. And the utility continues to struggle mightily in southern Afghanistan. With the Kajaki Dam incomplete, the electrical grid project incomplete, and no money for fuel at the two generator plants the U.S. built as a temporary, stop-gap measure, most of the lights remain out in Kandahar. The military spent $143.5 million to build those generator plants in 2011 and nearly $140 million more to buy fuel for them, deciding that having electricity in Kandahar was key to countering the insurgency. But after the troops left, the U.S. stopped paying for fuel in September. DABS hasn’t been able to take over. That means that even the U.S.’s transition plan to make up for its failure to get the Kajaki Dam fully running is a failure, SIGAR said.